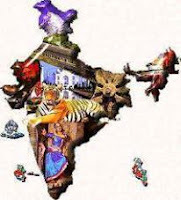 India GK Question Sample Paper 14: India General Knowledge (GK) Sample Question Paper No. 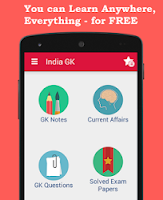 14 with Collection of India GK Questions under GK Quiz in PDF @ India GK Sample Papers. Q.211. Who was the viceroy of India when British Indias capital was shifted from Culcutta to Delhi ? Q.212. Gol Gumbad is located at ? Q.214. Who was the first person to make an economic analysis of british rule in India ? Q.215. Chief Election Commissioner of India holds office for a period of ? Q.216 Which is a Mathematical software package? Q.217. The provincial govt. of india were given more powers under the system of Dyarchy in the year ? Q.218 Which of the following sets of Articles deals with ‘Emergency Provisions’ ? Q.219 East India Company was established by British crown in the year ? Q.220 East India Company commenced its company business in 1612 at ?